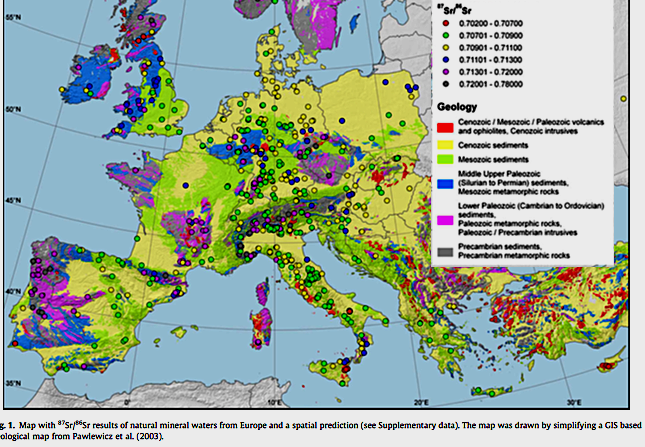 IRON AGE CLIMATE: GRAPES OF WRATH FOR THE MWP? Were the Dark Ages really that much cooler than the Medieval Warm Period , or did Beowulf's crew of Geats row south for a drink more heroic than mead ? While medieval records show Viking settlers found it impossible to grow grapes in Greenland or Iceland- in 1237, Pope Gregory IX told the Norse colonies to stop consecrating local maleshifts like crowberry juice for mass, and import the real deal in communion wine - vini de uvis - from parts South, new mass spectrographic strontium isotope studies in The Danish Journal of Archaeology -- Iron and Viking Age grapes from Denmark–vine seeds found at the royal complexes by Lake Tissø suggest a dynasty of sword-Danes made its mead-halls all the merrier by cultivating wine grapes. Peter Steen Henriksen and Sandie Holst of the National Museum of Denmark and Karin Frei of Museum Vestsjællandand report that in Denmark, (due East of Fife, the site of the northernmost vineyard in Scotland today) thousands of ancient grape pips, some radiocarbon dated to the late Iron Age , and others to the age of Viking discovery, have come to scientific light in archaeological digs on the main Danish island of Zealand. The grape pips show a 87Sr / 86Sr ratio of 0.71091 (±0.00004; 2σ), within Denmark’s strontium isotopic baseline range, indicating the seeds could be of local origin. New research suggests the Vikings indulged in a bit of viticulture. Studies of grape pips point to wine production in Denmark during the time of the Vikings. The Vikings liked alcohol, but while it is easy enough to grow crops and produce beer in the Danish climate, wine is a different challenge and was thought to have always been imported from southern parts of Europe to northern countries. 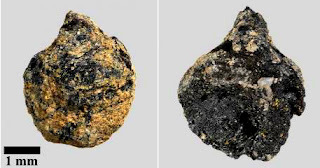 But new research has showed that at least one of the two oldest grape cores found in Denmark was grown locally, reports science news site Videnskab.dk. Results of the analysis could be the final piece of evidence needed to prove that wine was produced in Denmark during the Viking era, says the report. “This is the first discovery and sign of wine production in Denmark, with all that that entails in terms of status and power. We do not know how [the grapes] were used – it may have been just to have a pretty bunch of grapes decorating a table, for example – but it is reasonable to believe that they made wine,” archaeological botanist and museum curator Peter Steen Henriksen of Denmark’s National Museum told Videnskab.dk. 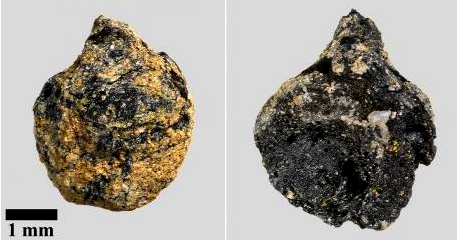 Henriksen himself discovered the two centuries-old wine pips in a sample of earth at the site of a Viking settlement at Tissø. Analysis of the pips found one to date from the Viking era and the other from the Iron Age. No evidence of grapes in Denmark prior to the Middle Ages was previously known. Henriksen sent the pips to the National Museum, where they underwent strontium isotope tests similar to those that confirmed Danish preserved bodies the Skydstrup girl and the Egtved girl originated from geographical areas further south in Europe. The tests showed that the Viking era grape was probably grown on Zealand, reports Videnskab.dk. “Before we only had suspicions, but now we can see that they actually had grapes and therefore the resources to produce [wine] themselves. Suddenly it all becomes very real,” professor Karin Margarita Frei of the National Museum told Videnskab.dk. The Tissø settlement is one of the richest Viking locations in Denmark and was home to a dynasty that stretched from the early Iron Age to the late Viking period, reports Videnskab. 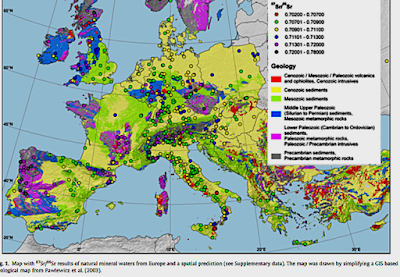 Production of wine in the area may have been a way of expressing status, say researchers. Although it is also possible that the grapes were grown to be consumed as fruit, the Vikings are known to have come across wine on their voyages abroad, and Roman wine cups and other remnants of wine have been found in Scandinavia. The climate in the region was also similar to the present-day climate, making it possible to grow grapes.